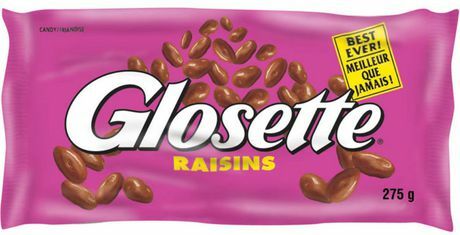 The GLOSETTE® brand name came from the "gloss" or "shine" on the chocolaty coating.The brand is perfect for both nibbling and sharing. GLOSETTE® pieces are available in two flavours: Raisins and Peanuts. Available in 105g and 275g.